Along with the natural aging process, other issues — such as sun damage, smoking, squinting, and even smiling too much — can cause the development of facial lines, wrinkles, and sagging skin. 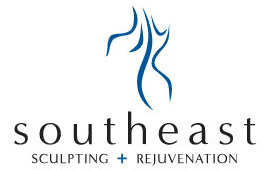 The skin care experts at Southeast Sculpting + Rejuvenation in Fort Mill, South Carolina, offer a wide variety of injectable cosmetic treatments that help restore a healthier, rested, more youthful appearance. Joe Robinson, MD, uses his medical expertise to provide Botox® and dermal filler injections that defy the signs of aging while leaving you with a vibrant, natural appearance and a more positive self-image. Call the office or request an appointment online today. As we age, the tissues lose volume and elasticity, making the skin thin, loose, wrinkled, and sagging. Cosmetic injectables are used to minimize these effects. Botox® or Xeomin®, both neurotoxins, are used to reduce the appearance of wrinkles and fine lines on your forehead, between your eyebrows, and around your eyes. These cosmetic formulas work by decreasing the muscle movements that control your facial expressions. When this muscular action is reduced, your skin relaxes, and the dynamic wrinkles caused by frowning, smiling, squinting, and other facial movements become less apparent. In order to ensure natural results, the goal is to reduce, but not eliminate, your facial expressions. Dermal fillers are used to restore volume to your cheeks, lips, and nasal-labial folds where fullness has been lost and to treat moderate to severe lines and wrinkles in the same areas. Containing hyaluronic acid, collagen, and other bio-friendly substances, they are long lasting products producing natural results. At Southeast Sculpting + Rejuvenation, Dr. Robinson uses cosmetic injectables from Allergan, with its Botox Cosmetic and Juvederm family of fillers, including Juvederm, Voluma, and Volbella. Brilliant Distinction points are earned for their use. Merz products Xeomin and Belotero are also employed. Merz also offers a loyalty program. Am I a good candidate for an injectable cosmetic treatment? If you’re in good health but want a more youthful appearance, you may be a good candidate for cosmetic injectables. Botox and dermal fillers are FDA-approved for use on men and women over the age of 18. Many patients opt for preventive cosmetic injections to stop wrinkles from forming at all. Botox and Xeomin are not recommended for pregnant or nursing women. What should I expect during a cosmetic injectable treatment? You’ll receive specific and detailed information before your procedure is scheduled. At the time of your treatment, Dr. Robinson will first ask you to describe the features that you most hope to change. In turn, he will explain the different means of obtaining the desired results. Once you and Dr. Robinson discuss how you wish to proceed, the injections will begin. The treatment takes 20-60 minutes, depending on the number of areas being treated. If you desire or if it is appropriate, Dr. Robinson can provide a topical numbing cream to ensure your comfort. You can expect to return to regular activities after your injections, other than strenuous exercise, which you should avoid for about 24 hours. Call Southeast Sculpting + Rejuvenation or request an appointment online today to learn how cosmetic injectables can help you look your best.